I was among more than 3,000 Bluebirds fans in the away end at Turf Moor. It was a privilege and an honour. The passion and dedication of those supporters is fabulous – from the fantastic pre-match atmosphere at Burnley Cricket Club just around the corner from the football ground to the intensity and sheer commitment at the match. The enjoyment of being among the Cardiff City faithful meant so much that I have now booked for the match against Brighton at the Amex Stadium on Tuesday. Now that really is a must-win Premier League match. Cardiff didn’t deserve to lose at Burnley. Two, maybe three, crucial decisions went against them. Referee Mike Dean and his officials awarded a penalty for handball – and then decided it wasn’t a spot-kick. The second incident was even worse. Aron Gunnarsson was clearly brought down. It was,100 per cent, a penalty. It wasn’t given. That was, clearly, a mistake. Mike Dean is a top referee and there is not question about that, but he got it wrong at Burnley. Was it because of the pressure he was under? I have no idea. But that could not have helped. Cardiff, I believe, are going down. But what happens if they win at Brighton. Manager Chris Hughton’s Bluebirds are struggling and, from what I’ve seen at Cardiff, the Bluebirds players still believe. A win at the Amex could still be a major factor in the relegation battle. Vince Alm, a leading member of Cardiff City Supporters Club, is one of the most reasonable people I know, but even he is bitter about what happened at Turf Moor. I wish my former Western Mail and Echo colleague Steve Tucker had been with me at Burnley. He would have been apoplectic. 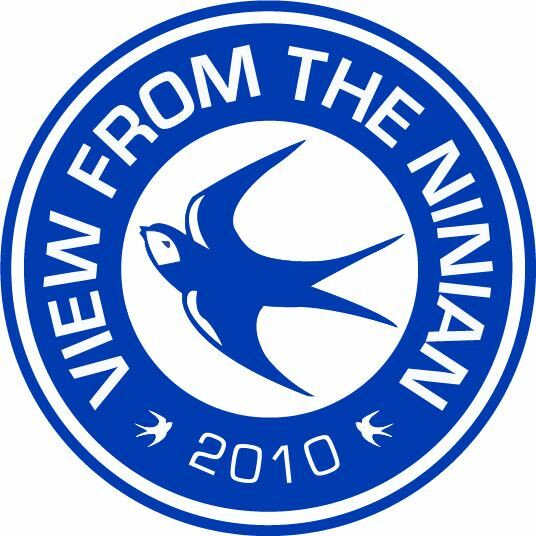 ’Tucks’ was a Bluebirds though and through. I loved being among the Bluebirds fans, but I know he would have loved it more. Steve passed away last week and I am desperately sad that he couldn’t be there with me. We travelled so many miles together watching Cardiff City, albeit mainly in press boxes around the country. Tucker would have been angry at Burnley, while Alm’s view of the Burnley defeat was: “Another bitter pill to swallow. “It’s difficult enough having to take on premier league football without being on the wrong end of poor decisions from ‘top class referees’. “We have had little rub of the green this season from officials. “I wish Burnley all the best next season I do like them, they are an old-fashioned traditional club, with proper working-class supporters on the whole like us. They are a well-run club, decent manager who has assembled a team of hard-working players. “A few of our own supporters are saying we are just not good enough it maybe the case, but personally in my own opinion we have been as good as Burnley, Leicester, Crystal Palace, Bournemouth and not to far behind Newcastle, West Ham, and Southampton. “Once we play Brighton away I will give an opinion on them. “As optimistic as I have been all season, I do now agree Brighton is a must win, a draw or loss to them it will be difficult for us then to avoid relegation. A win and we have a decent chance. Still difficult, but a decent chance of staying up. “The Premier League has been a better experience this time around with the fantastic support and the club being united as one, but let down by match officials. Maybe our luck will change over the next five games. “Whatever happens the club, the players, the manager, and the fans with have my 100 per cent support, commitment, and passion. I appreciated manager Neil Warnock and his players applauding Bluebirds fans in the away end after that defeat against Burnley. It mist have been hard to take for every City supporter. Warnock’s view was: “The lads were super, especially in the second half and our fans were fantastic. “They are a great bunch and I can’t fault any of them. But we were punished and it’s hard playing Burnley when they’re 1-0 up because it’s difficult to get into the flow. “At half-time, I told the lads that we can play better than we had and if we moved the ball quicker and got into their box we could win the match. It’s frustrating, though, when one thing after another goes against you. “On another day we could have won it, but it wasn’t to be and we were just lacking that bit of quality. On the penalty which was awarded and then ruled out by Dean, Warnock said: “The fourth official told me Mike [Dean] didn’t see it and the linesman gave it on the far side. Chris Wood scored twice for Burnley. Warnock made two changes to the team that had faced Manchester City. Oumar Niasse and Joe Ralls took up spots on the substitutes bench, while Kenneth Zohore and Harry Arter were welcomed into the starting line-up at Turf Moor. Burnley took the lead Chris Wood met a corner from Dwight McNeil with a close range header. Where was the marking? It was non existent. Awful. It looked as if the Bluebirds would be given a great opportunity to level the game just after half-time when referee Dean pointed to the penalty spot. Mee was punished for handling the ball inside the box. Inexplicably, Dean reversed his decision, angering away players and supporters. Arter’s effort on 54 minutes hit the top of the crossbar, while the best chance for Bluebirds came just after the hour. Kenneth Zohore broke in behind the Clarets back line and placed the ball lamest perfectly for Junior Hoilett, but he fired high over the bar from eight yards. With seconds of the game remaining the home side scored a second goal. Wood was the man in the right place at the right time again, heading the ball over the goal-line from two yards to secure all three points. If either of those penalty shouts had gone Cardiff’s way when the score was 1-1 momentum would have given City the advantage. Cardiff City: Etheridge, Peltier, Bennett, Morrison, Manga, Arter (Decordova-Reid 81), Gunnarsson, Camarasa, J Murphy, Zohore (Niasse 78), Hoilett (Mendez-Laing 73). Subs Not Used: B. Murphy, Ralls, Bacuna, Cunningham.